The Polish government terminated a warship building project seen as a drain on the nation’s resources, Prime Minister Donald Tusk said on 24 February 2012. “Vast amounts of money are still being spent on the Polish military that simply have nothing to do with defense,” Polish Radio External Service quoted him as saying. The prime minister said the project will be terminated “despite opposition from the navy” as it was “senseless” to maintain an enterprise that costs 30 million zloty a year (7.2 million euro). The Gawron (Rook) Corvettes were to be small, state of the art warships that would be capable of combating ships and submarines as well as taking part in rescue operations. The cost was initially set at 250 million zloty per vessel (60 million euro) for up to seven vessels, but the project then changed to three vessels at a cost of 1.5 billion zloty each (360 million euro each). However, after more than a decade, not one warship had been built. Funds for a new submarine program are to be transferred from these earmarked for the Gawron corvette project. Continuation of construction was not included at the beginning of February 2012, in the approved list of 276 tasks of primary importance for security. The measures provided for in the budget for 2012 year for the Ministerstwo Obrony Narodowej [MON - Ministry of Defense]. 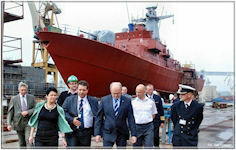 The Minister of the Treasury indicated the perspective of the Naval Shipyard in Gdynia. 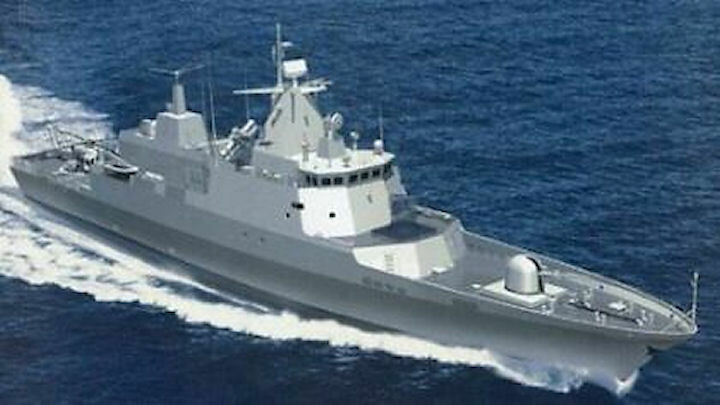 "We talked about various matters that comprise the program of rationalisation of expenditure - since the closure of the costly and - I will use strong words - nonsense in its essence, this hull design Corvette Gawron dearest world, as maliciously said," he told journalists after a meeting with the Prime Minister - head of the MON. "Despite resistance in various places, including in the same army, specifically in the Navy, despite the problems that relate to the future of Naval Shipyards, maintaining this project, even at this stage, maintaining it at the level of expenditure of 30 million a year nonsense. Appropriate military or not objectively described point to the need for the construction and operation of large units in the Navy in the Baltic, "added the Prime Minister. Poland launched the project in 2001, under Prime Minister Leszek Miller. The agreement for the construction of the Corvette was signed when Prime Minister Leszek Miller was head of the SLD. Construction of the head of class: Slazak (Silesian) was begun in November 2001, in the Naval Shipyard in Gdynia. Very soon it became clear that the budget of the Navy could not support the burden of the construction of seven units, so their number was limited to six [at the end of 2004], later three or four, then two ships, eventually reformed in the yard as one unit. This decision contributed to the subsequent collapse of the shipyard, which has invested its own resources in the production line of new ships. This meant also the increase in construction costs for a single ship. The Polish navy laid the keel of its first Meko A100 Class corvette on November 28, 2001, the 83rd Anniversary of the Polish navy, at the Polish Naval Shipyard in Gydnia. The ship will be a 2,040-ton corvette armed with RBS-15 (Mark III) and RAM missiles. A decision had yet to be made whether it will be armed with an OTO/ Breda 76-mm or Bofors 57-mm gun. As of 2005 SMW Stocznia Marynarki Wojennej was building one (1) Garwon Class multipurpose frigate for the Polish Navy under the MEKO licence from Blohm & Voss Hamburg, with an option for (5) more. At that time, the hull had been finished some years ago already, but outfitting was delayed for financial reasons. It was expected then that a Corvette under the name of ORP "Slazak" will enter service in 2012. In February 2007 the Italian company Avio signed a contract with the Naval Shipyard in Gdynia with a value of around $10 million to supply propulsion systems for the project 621 Gawron Corvette. The main element will be LM 2500 gas turbine (the license of General Electric), supplemented by two engines supplied by the German company MTU. However, their supply will be subject of a separate contract. Currently, the plans provided for the delivery in 2010 of only a single prototype. 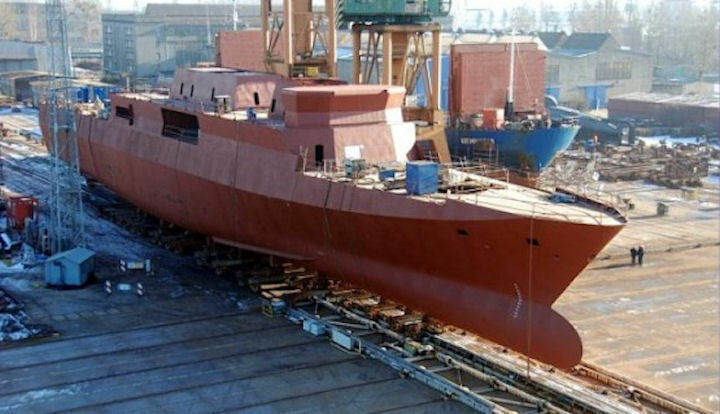 A first ship was under construction and should be ready by 2010. 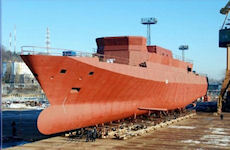 But the remainder of the class (five more ships), will not be acquired until after 2012, Capt. Krzysztof Jaworksi, the commander of the service's fast patrol boat squadron, told an international IQPC-organized OPV Conference naval conference in Rotterdam, the Netherlands, in October 2007 . The hull was launched on 16 September 2009, but the program was suspended due to the ongoing financial crisis. At the end of 2011 defence minister Tomasz Siemoniak said the matter "not without reason for construction Corvette" examine the Prosecutor's Office. Shortly after this event, the then minister of defence suspended construction of the Corvette, and Bohdan Klich Navy announced the bankruptcy of the shipyard. In the document issued by the Ministry of defence in January of 2012, concerning the issue of modernization of the armed forces, the Corvette was omitted. 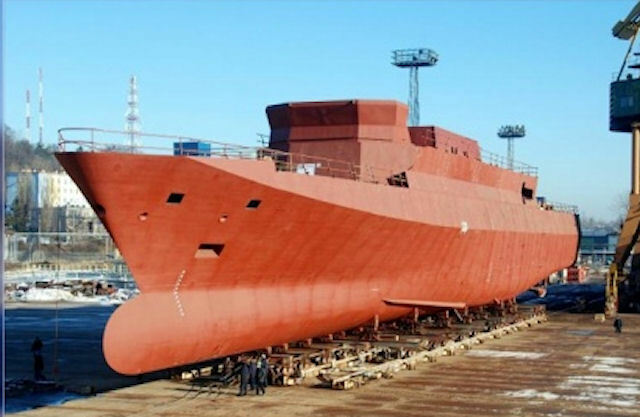 The Democratic Left Alliance (SLD) party wanted explanations from Prime Minister Donald Tusk as to why for the past four years, the Government had not continued the construction of the "Gawron" Corvette and what will be the final decision of the military as to the future of this ship. 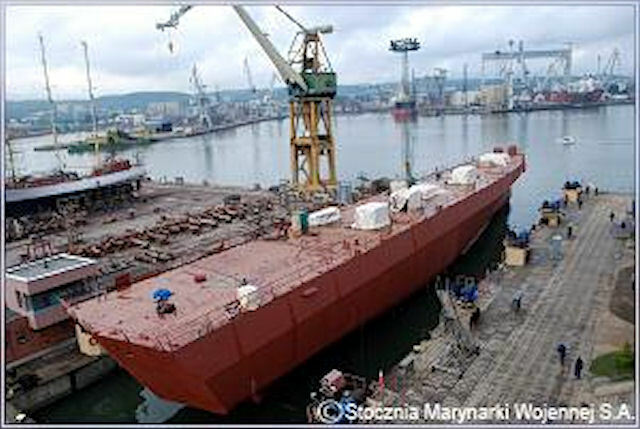 SLD Spokesman Dariusz Ionic pointed out that in 2001, the then head of the MON Bronislaw Komorowski decided to build the Corvette "Gawron", and successive ministers have continued to implement this project. In the years 1998-2001 research released 15 million dollars. In the period 2001-2005 approximately $140 million was allocated for the construction of the Corvette, and later in the years 2005-2007 approximately $260 million. However, in 2008, the then head of the MON Bogdan Klich reduced expenditure on this objective to $2 million. And in 2009 the project funding was terminated, though for four years nobody had taken the decision, although the Government of Donald Tusk has decided for the suspension of the construction of the Corvette. In December 2009 it was announced that "Referring to the question of acquisition of successive units of this type, we kindly inform that the work on preparation of the personnel of the operational programme of modernisation of the Navy in the years 2009-2018, did not anticipate the start of the procedure of obtaining the next ship type of 621." It is difficult to clearly assess whether the abandonment of the construction of ORP Slazak was correct. Costing shows that the cost of a single unit is much higher than was built as part of a larger series. When builds several dozen ships, or the cost of the project, testing different solutions and production line decomposes into more units. Therefore, a single Rook would be more expensive than the even larger and better armed units built in larger quantities. Possession of modern frigates are, of course, the prestige of the Navy. The required minimum is 3 units. One passes the refurbishment, the other is ready for sailing or swimming in a division operation, and the third carries out a specific task. A single ship is most times unable to conduct specific activities. The Prime Minister at the February 2012 press conference said that the Corvette was canceled because Poland did not need two ships of this class in the Baltic. The Baltic Sea is relatively small and a Corvette can, at least to a limited extent, create an anti-aircraft umbrella for itself and other ship. Smaller units do not have such opportunities. 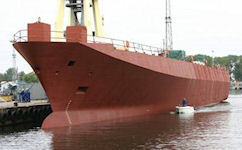 For example, the two ships of the modernised project 660 type Orkan class are of length 48.9 feet. They carry the RBS-15 Mk 3 Swedish rockets that are one of the most modern in the world. Unfortunately, these units are not in a position to fight a force of ships and their anti-aircraft armament is solely for self-defence on short distances and to a limited extent. On 06 July 2012 the Under Secretary of State in MOD for Armament and Modernization Mr. Waldemar Skrzypczak visited Naval Shipyard Gdynia. The visit started in the building hall, where the vessel of 621 Project is being built.The Deputy Minister visited also other vessels of Polish Navy, being repaired or modernized currently in NSG.After the short tour over the Shipyard Site, the talks were continued in the head office. F 242 Kujawiak ?? ?? ?? F 243 Krakowiak ?? ?? ?? F 244 Mazur ?? ?? ?? F 245 Kurp ?? ?? ?? F 246 Goral ?? ?? ? ?